What about pizza, can I still eat it? What do I use to make the base? Is it possible to make it without wheat? Absolutely it is possible, as there’s always an alternative for everything, including pizza. In fact it’s possible to still enjoy pies, pizza, brownies, pasta, muffins, and cheesecake, but in healthier versions, using gluten free, alternative real foods. 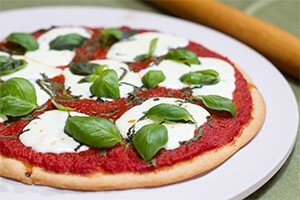 Making pizzas gluten free is easy, you just have to be creative in the kitchen using other ingredients. One way to make a gluten free pizza is to utilise vegetables like sweet potato, cauliflower or even broccoli if you’re feeling adventurous. By using ingredients like these, you can avoid wheat and grains altogether by replacing them with nutrient and mineral dense vegetables. 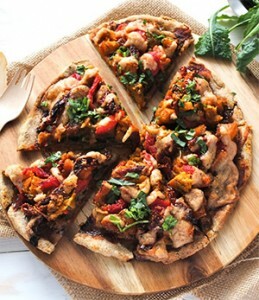 We have sourced 16 various gluten free pizza crust recipes for you to trial, some of these are also vegan, egg, nut and dairy free for those who have allergies. When they call this ‘Meatza’ they really aren’t kidding. The crust is made out of meat, which is one way to get rid of the wheat and any other grains, as well as increases your protein intake. Try topping it with sliced vegetables, herbs and spices. In my opinion it’d be best to eat a fresh salad or a side dish of vegetables with this as it will help to restore balance to your body helping you digest the meat. This recipe is not your typical pizza at all. 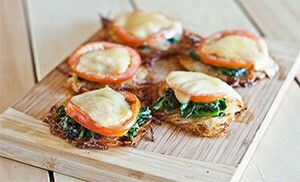 They’ve kept this recipe really simple, using the potato as the pizza base, topped it with a handful of spinach, sliced tomato and cheese. 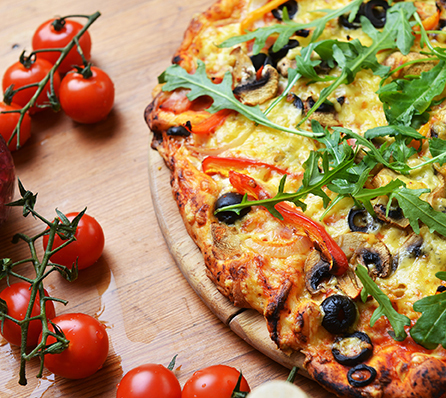 Do you have a favourite gluten free pizza base recipes that you love and would like to share with others? Please comment below. Oh wow thanks Jodan. I have been using the Pizza bianca recipe from TM5 chip replacing flour with gf flour. Works a treat for pizza base. In the thermomix, throw in about 1-2 cups of precooked chicken (ie bbq chook from shops) and about equal amounts of mozzarella cheese. Mix in tmx until it is a fine crumb, but not a paste. Line a lamington tray with baking paper (I like rectangular pizza’s! ), spread the mixture out onto the tray and press down firmly. Bake until golden. Let cool down, then add toppings and put it back in the oven again. Best low carb, gluten free, high fat pizza base ever and tastes delish and doesn’t crumble. That sounds amazing, thank you so much for sharing it with us! May be a great one to add to our online recipe collection. Great recipes!! I read your article first time and this is such a very nice blog.